No military home is complete without a defending Army Gnome! Also knows as G.I. Joe, this Army Gnome will lead the way, and strike for freedom in any patriotic garden. 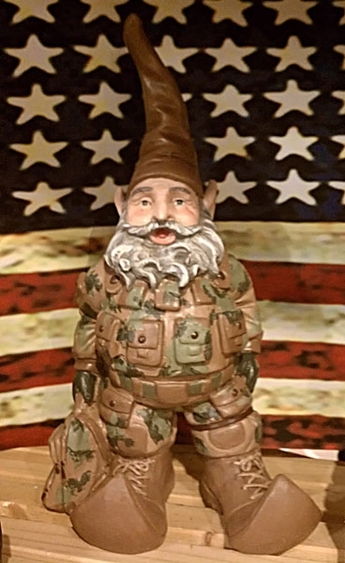 Arrives in his full Camouflage Army fatigues and Camo Hat, this Army Ground Forces Gnome is ready to defend your garden. "Duty. Honor. Country." - U.S. Military Academy at West Point.